Sometime back, the idea that people had of drones was that they were similar to the toy choppers that kids would fly using a remote control. It was purely child’s play and was a reserve for the kids. In recent times, the table has turned. Drones such as the Sky Viper which we recently researched as part of our sky viper drone review have become more than children’s toys. They are now being used by corporate entities. They have even found utility with scientists and military generals. They have evolved into useful aviation navigation tools. They are being utilized by not only consumers but businesses too. How are they being used in modern times? Here’s a consideration. Capturing live events was every camera man’s nightmare. To pull this off, they often had to hang their cameras using cables from elevated places in order to get some aerial footage of live events. It was such a difficult task and only the smart and experienced ones were able to do it. Drones have however eased this activity. Concerts, political addresses, sports events, demonstrations, businesses events and others are now being captured as they happen conveniently and excitingly. Drones have been used to give a real-time perspective of ongoing events. With drones, one can steer the camera in any direction that they wish and at the comfort of just a small controller. Drones are being applied in modern day agricultural activities. Smart farmers have a field day literally by implementing the use of drones in their daily activities. Farmers can be able to track and monitor farming conditions. They have also been able to irrigate their crops and to ascertain if irrigations systems are working effectively. Drones have also been greatly used when administering pesticides and fertilizers to plants over a wide area. Farmers have used drones to observe their farming work. It has proved to be cost-effective especially in cases where they own vast tracts of land. No happier lot have enjoyed the advent of drones than journalists. News coverage, reporting and journalism are about catching the action live as it happens. Journalism has quickly adopted the use of drones and students are even learning how to use them to perfect their reporting. Modern-day reporters are reportedly using drones to capture the day’s news as opposed to hiring choppers. When disaster strikes, infrastructure cripples and it proves hard for people to move around. More so, the disaster relief agencies are rendered immobile in times of severe weather and when transport systems are down. With these, they are not able to perform their duties efficiently. However, drones have come in handy in such situations. They have been used to save lives in disaster-stricken areas. Drones have been used in monitoring and disaster response by various entities such as the Air Force and the army. NGOs have also employed them as an indispensable tool in providing relief operations. Search and rescue teams are also achieving success in their activities by using drones to help them navigate through debris and affected areas. Some relief agencies have even gone to the extent of delivering food, medication, and necessities in remote areas. Insecurity has been a menace in most societies. Some planned crimes happen swiftly. Thus, it becomes highly impossible for businesses and security agencies to respond. However, drones are making real-time security surveillance a possibility. Businesses can monitor operations within and outside their facilities in the real time. Security agencies are also able to survey for security threats and crimes within a locality. All this makes them set to respond swiftly to distress calls. Also, it enables businesses to forestall the possibility of theft by employees as they can be able to monitor them. Law enforcement officers have used drones to identify the location of criminals, terrorists and other demented characters. They help them plan the right course of action when criminals strike and are possibly holding hostages. More sophisticated drones are also known to fire bullets at criminals when the need arises. Drones have been used significantly for the protection of wildlife. This is true especially in protecting endangered species against the activities of poachers. Some countries have employed the use of drones in wildlife protection, for example, drones are used to give real-time footage of the animals and the potential threat such as poachers. This footage is sent to rangers who are on the ground who respond swiftly to the threats. The present-day construction sites are filled with drones. They are used to inspect tall structures and get close-up images of buildings. When surveys are being carried out, drones have been used for this work. It has saved surveyors the bulk of dangerous work that usually characterizes surveying. Drones have significantly reduced the costs, resources and efforts expended in surveying the progress of construction work. For the longest time, construction supervisors have had to hire pilots to survey this progress especially when the construction is vast. This usually took time and a lot of resources. With drones, there is minimal expenditure and better data collection. This is one of the most recent ways that drones are being used by modern day businesses. Companies such as Amazon, Walmart and UPS in the United States are trying to redesign their package delivery process to factor in drones. They argue that more efficiency will be achieved when drones are used in place of delivery vans and people. They can be flown off the warehouses and delivery vans to deliver the packages to designated locations. Many companies the world over are similarly trying to introduce drones in delivery services. Drone technology is improving every year as evidenced by the yearly expos and conferences where inventors showcase their innovations. 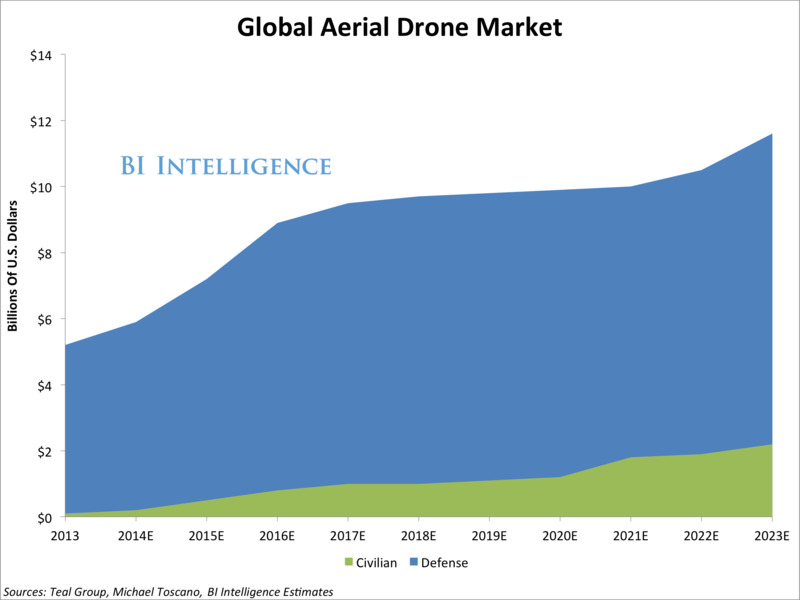 The above consideration is just of some of the popular use of drones by businesses. There are many novel uses of drones in the world amongst businesses. They are bound to even be more sophisticated in the future. We can only wait and see!